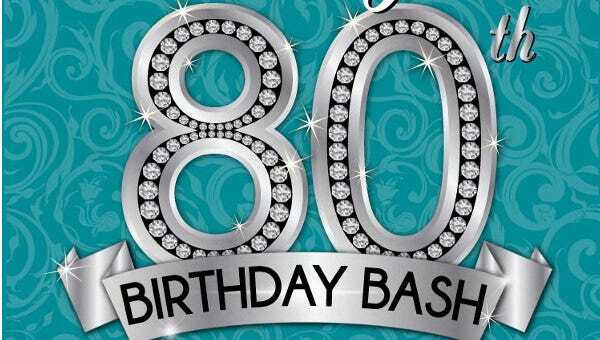 Someone achieving their 80th birthday is no doubt an accomplishment worth celebrating. 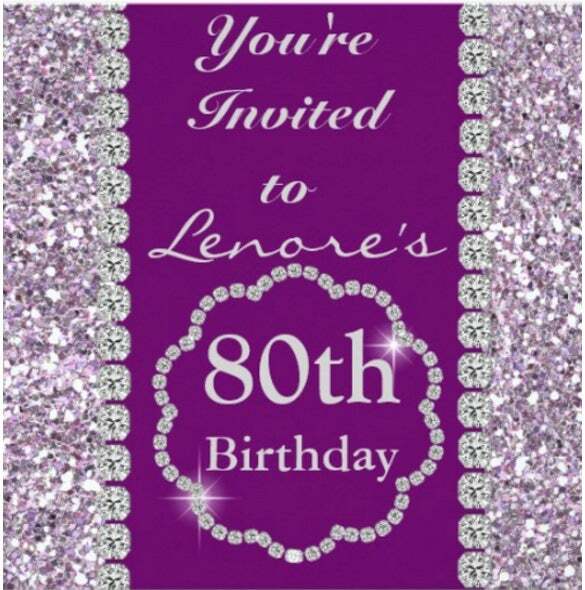 Such occasions need pre planning keeping the favorites of the celebrant in mind. 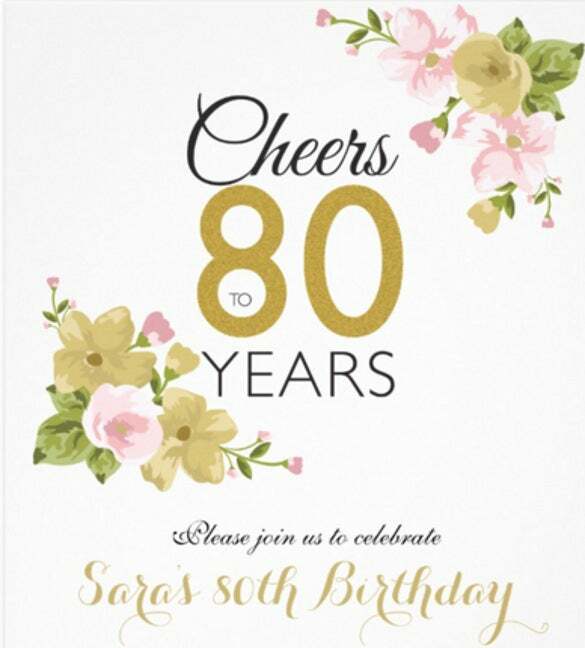 Ask about the person’s idea of celebrating his or her 80th birthday and include those people in the celebration with whom the celebrant is the most comfortable with. 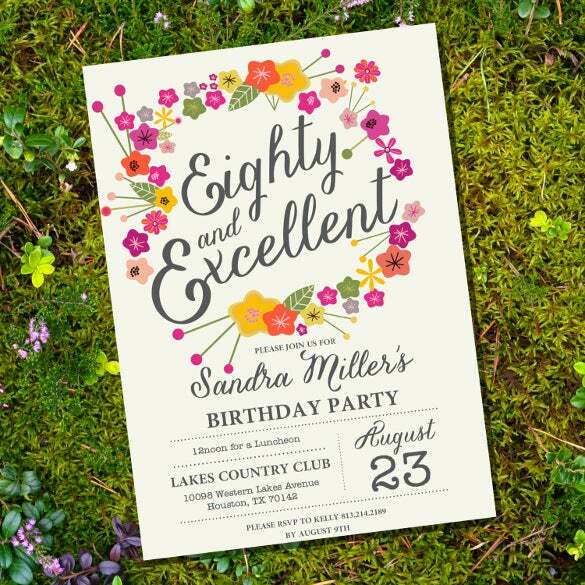 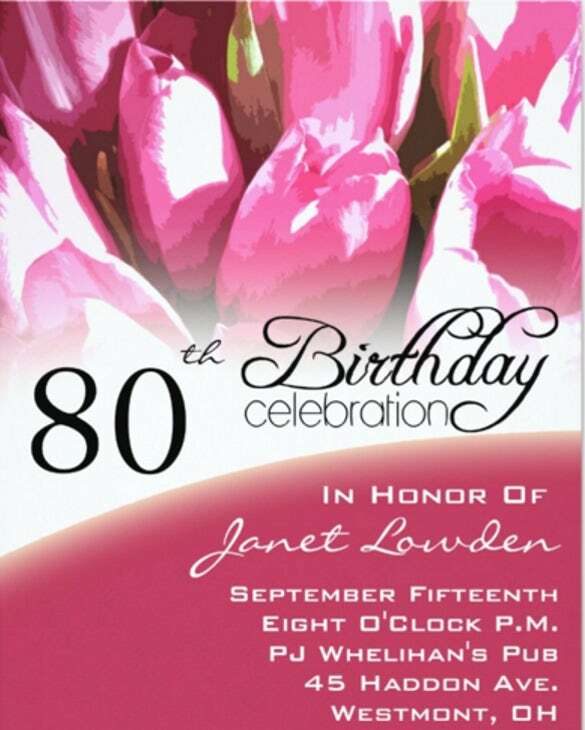 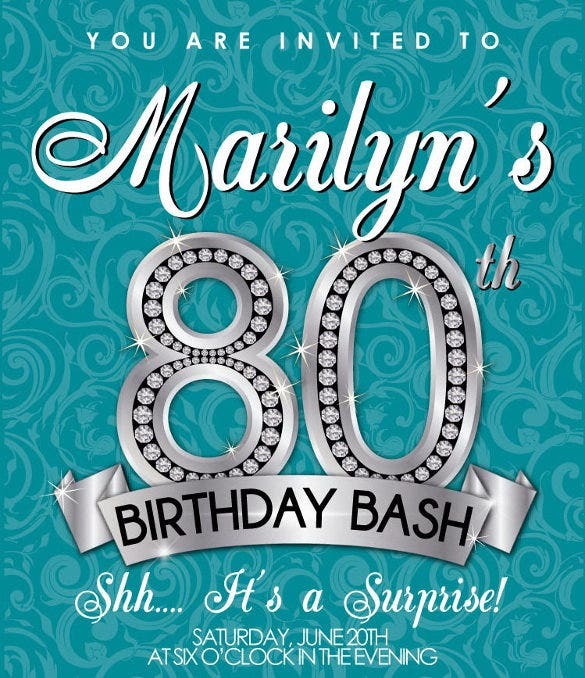 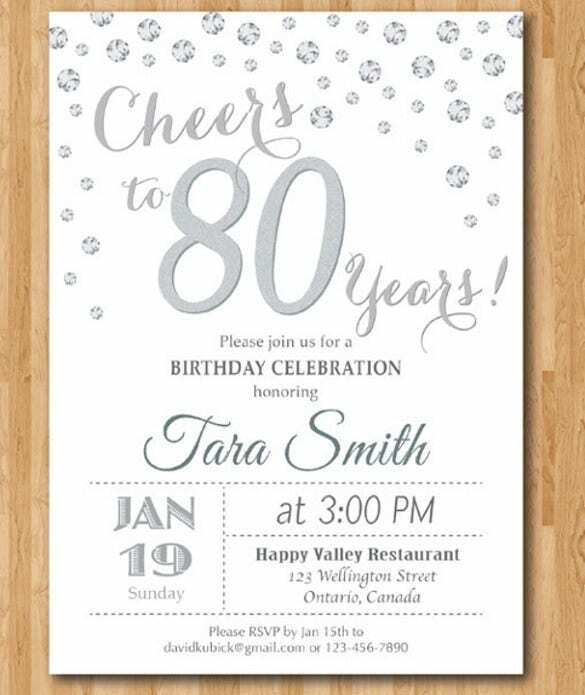 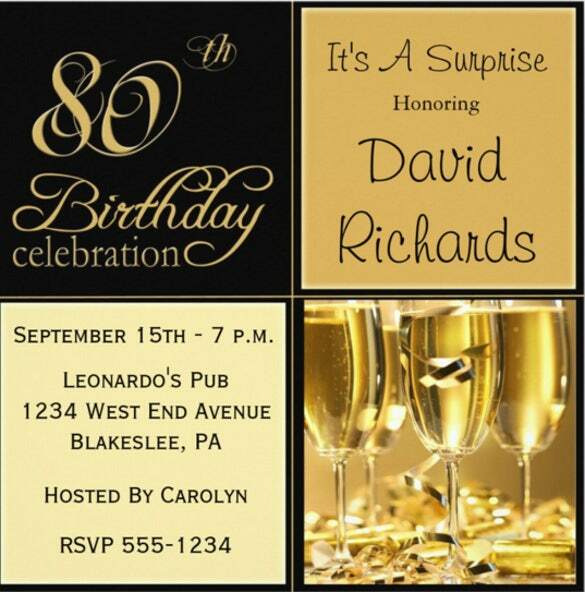 Hand written 80th birthday invitations works wonder. 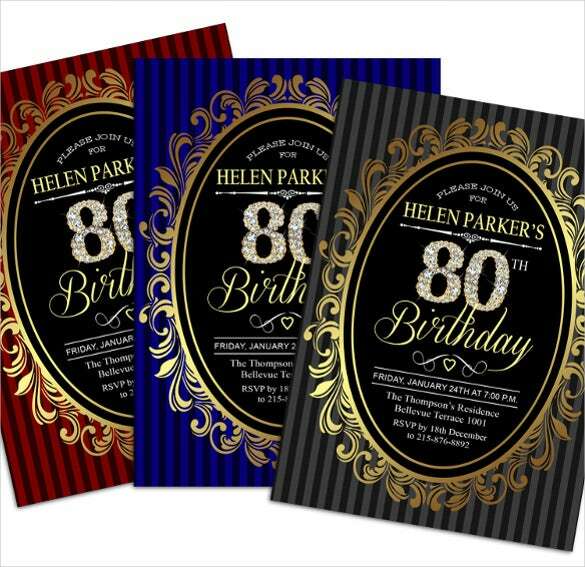 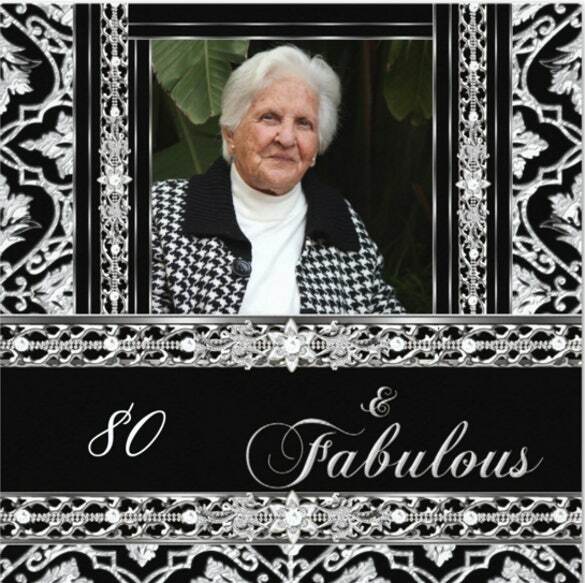 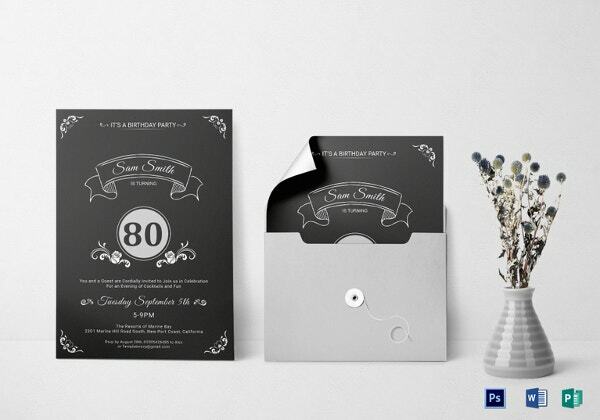 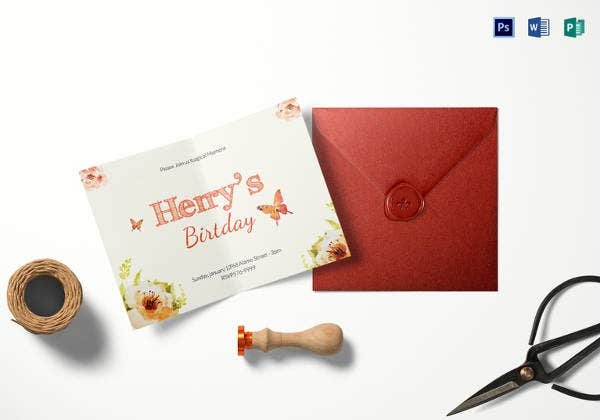 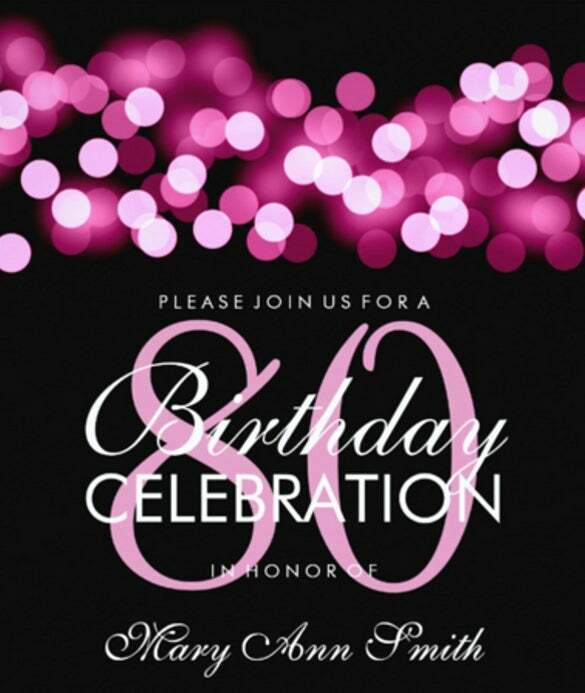 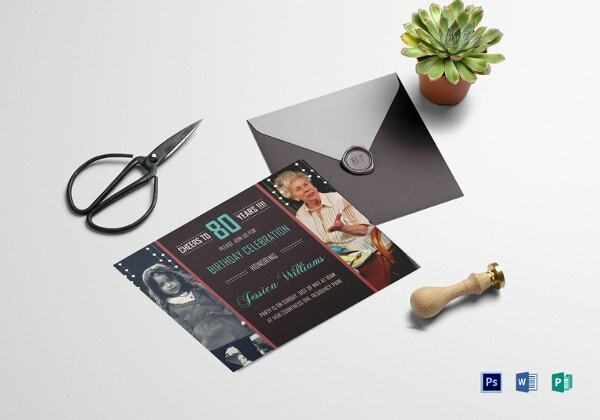 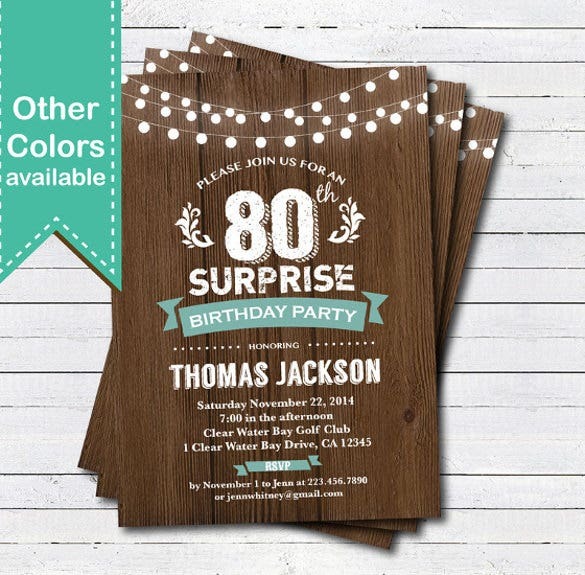 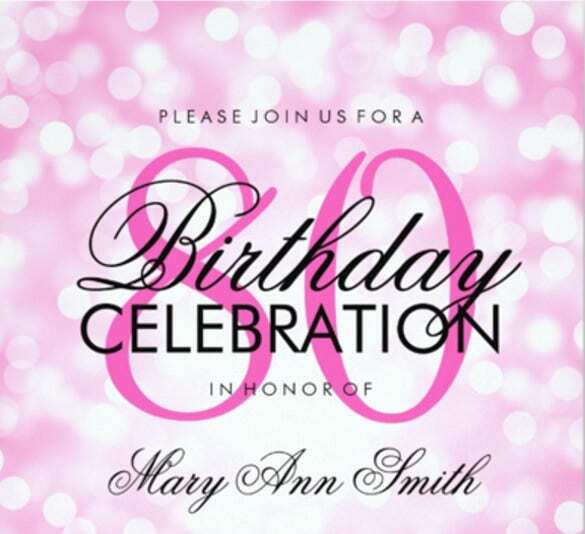 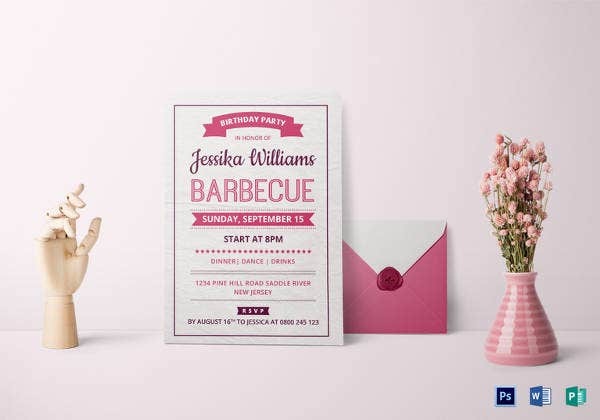 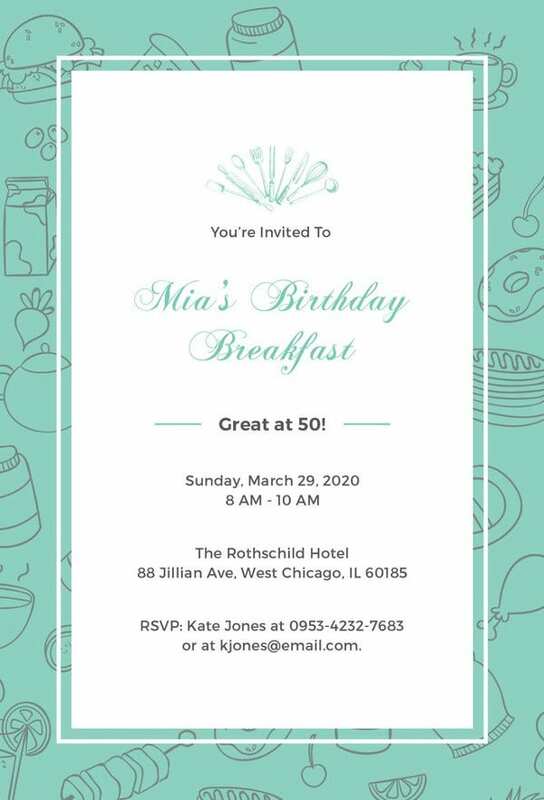 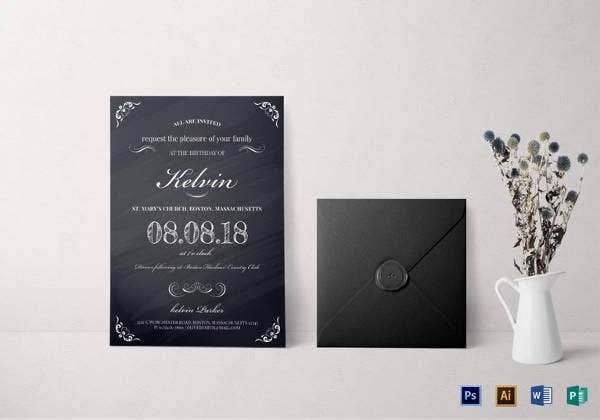 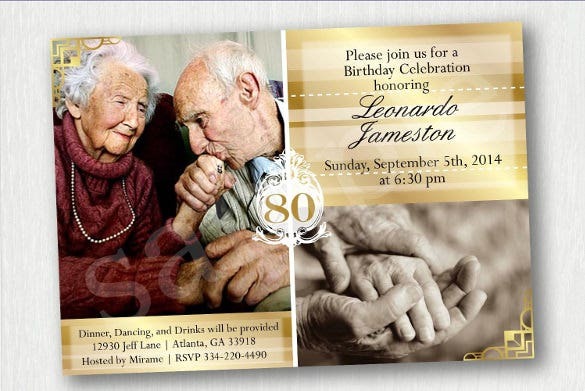 You can also see 50th Birthday Invitations here., There are a lot of 80th Birthday Invitation templates are available online in the most authentic form. 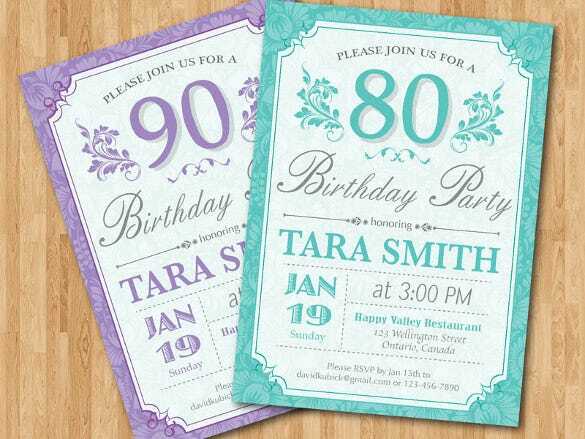 One can easily download these templates in any preferred formats like Word, Excel, or PDF. 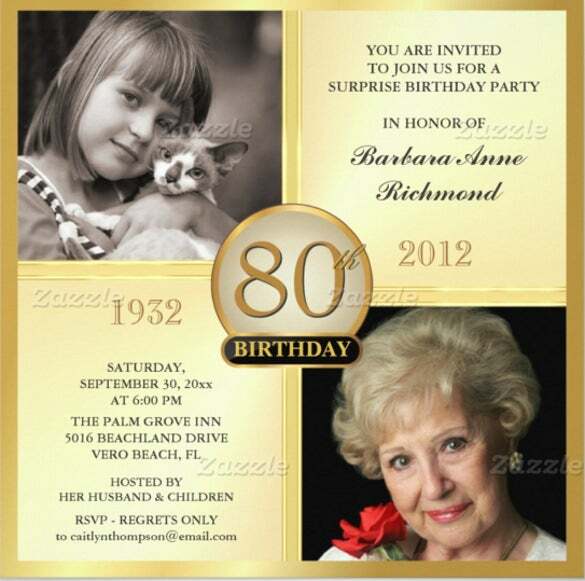 These invitations must include the proper date, start time, end time and venue of the birthday celebration.